You are here: Home / Cookies / Lemon Cookies with lime frosting. Lemon Cookies with lime frosting. If you read my blog on a regular bases you may remember the orange zested cookies that I posted a few weeks ago. Stephanie’s Kitchen, the blog where I found the yummy orange zested cookie recipe suggested changing up the recipe by using lemons or limes. That started the wheels turning in my head and I have been thinking about trying some different flavors ever since I made the orange cookies. I really didn’t think that any other versions of this cookie could get any better; since we loved the orange ones so much. 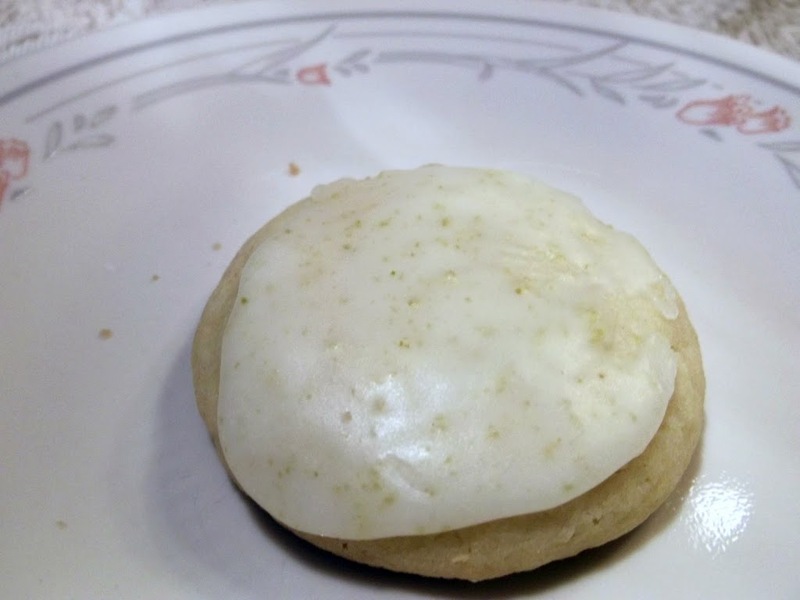 Well I made these cookies using lemon for the cookie itself and lime for the frosting. I have to say I was wrong when I thought the orange cookies were the best they could be, the lemon were even tastier. Now that is my opinion, because some of the other members in my family disagreed with me, but they still loved the cookies. 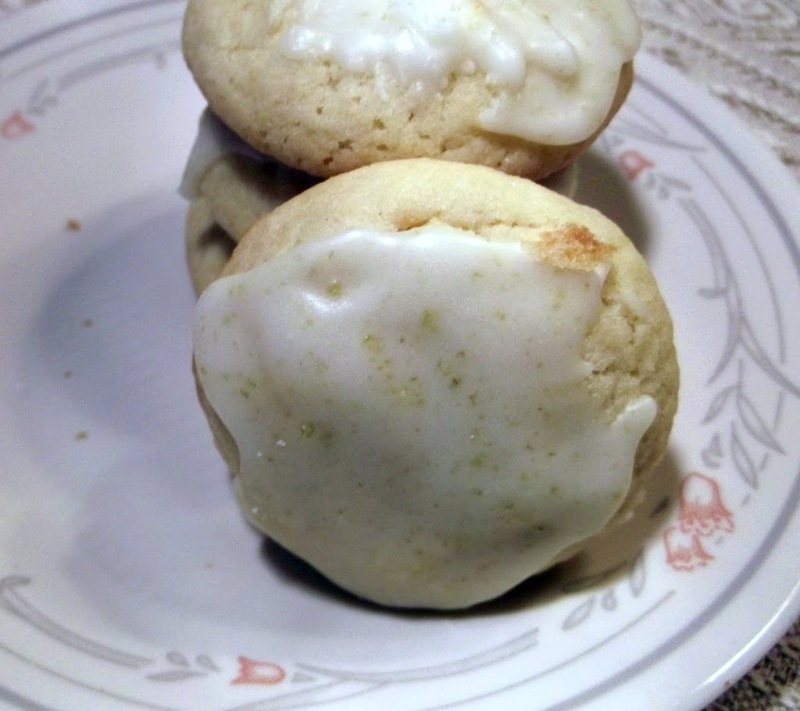 The lemony goodness with a little tartness from the lime frosting really made these cookies perfect. I made three batches to freeze some for a later time. Actually you can take these cookies right from the freezer and eat them. They don’t get too hard when frozen and taste great. If you tried the orange zested cookies I hope you give these a try too. If you have not tried the orange zested cookies give these a try anyway, you may fall in love with them as I did. In a medium bowl, whisk together the flour, baking powder and salt, set aside. In a small bowl, mix the sugar and lemon zest. Rub together your fingers until zest is throughout the sugar. The sugar will become moist from the oils being released. Using a mixer, cream the butter and lemon zested sugar. Add egg and lemon juice. Slowly add the dry ingredients until well incorporated. Roll into smooth round balls and place on cookie sheet that has been lightly greased. Bake at 350 degrees F for about 10-12 minutes or until very lightly golden on the bottoms. Don’t over bake or they will be a bit too dry and lose the perfect texture. Cool and frost with the lime glaze. Mix the confectioners’ sugar, lime zest, butter, salt, and enough lime juice to make a glaze that you can spread with a knife. I love lemon cookies! The lime frosting on top makes these extra special. Yum. I just love citrusy cookies! The tanginess with the sweetness is so good! 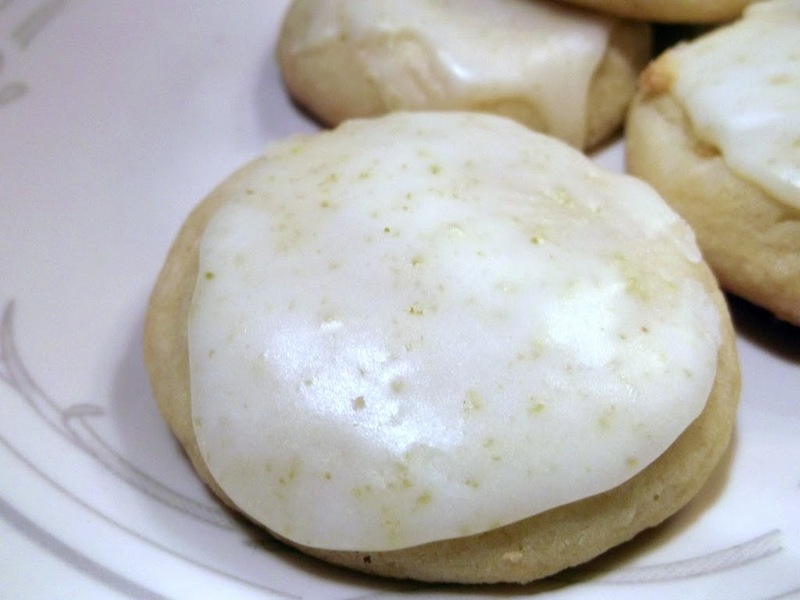 I love citrus zest in cookies and frosting! Yum! Happy to be your newest follower! Oh – yum! I love the citrus combination!